When we got back from PA everything in our yard had bloomed. 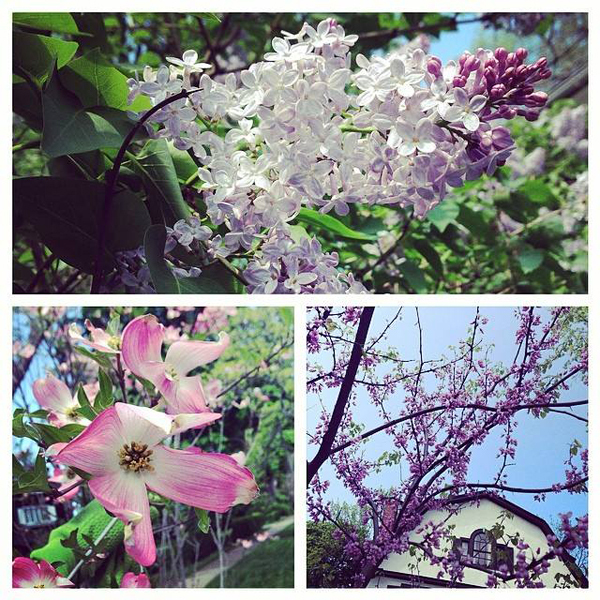 Lilac, dogwood and redbud. It was time for us to get cracking with some yard work. We planted, pulled weeds and mulched. Things you need for gardening: NPR set to Splendid Table. Iced coffee. Cute, fitted garden gloves. Sturdy tools. 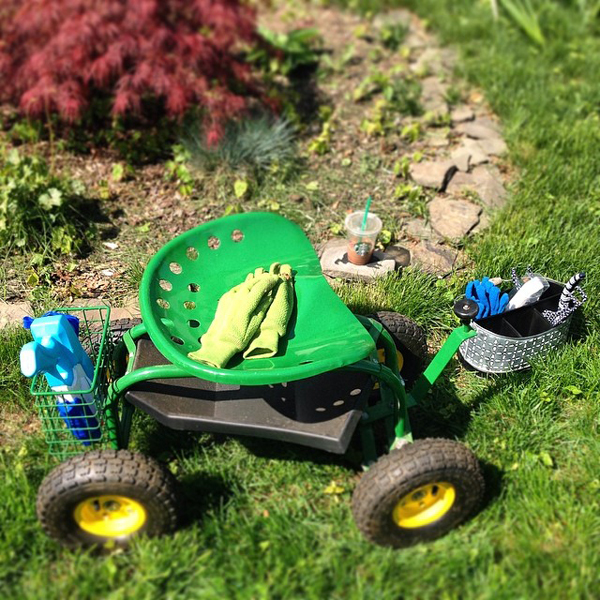 Garden scoot-a-doot. Water gun for squirting mouthy pugs that bark at dogs walking by.